Becoming a parent is one of the most challenging phases in life – your fairly established lifestyle is turned on its head. At a recent home group on parenting, we talked about some fundamentals of godly parenting. As is often the case, this raised more questions than answers, but I got a lot of interesting ideas out of it specifically around: leading by example and the power of imitation, the best way to discipline children, introducing a spiritual diet in the home, and seeing myself (to a degree) as a fellow-child with my children. Kate T put us onto this short video by Gary Thomas and prepared this handy crib sheet (including a useful list of resources) to prime our discussions. When children get to a certain age, they start to imitate you – alarmingly accurately. I like to ride my bike, and our eldest son Joey recently got out some tape to strap his water bottle to his bike, just like mine! It perhaps goes without saying that children will imitate the good and bad in their parents, so having young children is one of the hardest times to keep faith strong, but it is also one of the most important. ‘Our faith is more easily caught than taught. It is what our children see that will impact them most.’ (The Parenting Book, Nicky and Sila Lee.) This idea goes beyond raising children – if we want to share the light of God’s gospel, the best way we can do this is to live it, so that those around us (at home, at work…in the supermarket) see our lives and say “yes, there’s something attractive about that”. Every Christian parent is keen to introduce some sort of spiritual diet into their household at the earliest opportunity. However, one of the parents shared an experience that was similar to ours: they introduced a simple Bible story at a set time in the day. This worked well at first, but the child soon got restless and disruptive making the whole thing counterproductive. We have recently changed tack here, and introduced some bible-based stories that we know our boys like that we read together before they go their separate ways for age-appropriate stories; the older one gets an extra story, and the younger one gets a story with the older one, so they are both happy! 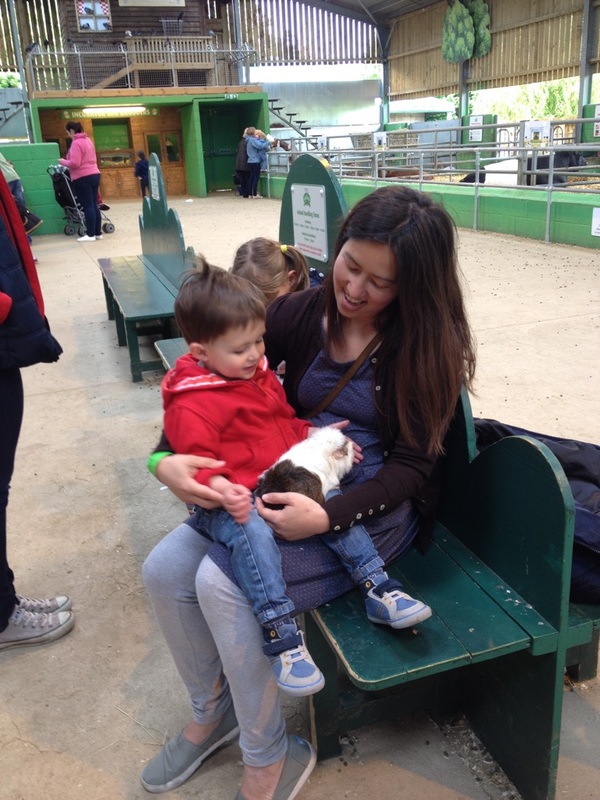 Today’s post comes from a lovely guest writer, Helen Roberts, mum of 2 yr old Henry. Can we teach young children forgiveness? I can still remember the bowl of baked beans flying off the table and going on the rug, the sofa and the picture on the wall. I recall taking my son upstairs and sitting him on my lap, and then I counted very slowly to 10. And I was thinking, why I am so frustrated? Why won’t my child eat anything? And he looked at me with those big brown eyes, and he didn’t even have the ability to say the words, “I’m sorry, I know you are angry,” but he knows, and I know. We embrace, and I take a deep breath and we carry on. And I’ve been thinking about forgiveness a lot recently, as my husband and I try to be consistent in creating loving boundaries, and showing that to every action there is a consequence. We are still counting slowly to 10 as we calm down together, and now my son can say “sorry Mummy”. So we’ve made a start, but how can I continue to teach forgiveness to my toddler? As a parent, I think one of the big things I have had to learn over the last two years is to be able to forgive myself. To realise that as much as I try to be a good mother and set high expectations for myself, I have limits. And that is what I want to teach my son about forgiveness. I want to create a safe space for him to make mistakes, because we all do. And in this space, whether it is home or elsewhere, I want it to be a place where we can be open and share; and to be able to say, “I’m sorry”. In that space we embrace and we start afresh. As believers, and indeed mothers we need to be able to show our children that we have been truly forgiven. That we have a relationship with our Heavenly Father that is open and honest. To be able to forgive we have to let go of the negative feelings that we have towards the person or situation that has hurt us. We need to heal, and we need to feel released. Sometimes when we try to forgive others it can feel far removed from the relationship we have with God. But of course the two are inextricably linked. If we cannot show forgiveness and grace to others, how can God build a relationship with us? Choose vocabulary in your family that works for you and your child. Sorry, I love you, let’s start again, let’s move on, what can we do to make X smile again? It doesn’t matter what it is as long as it is simple and understood by all. God wants a close relationship with us, what better way to show that to our children when we forgive than by giving them hugs and by teaching them to hug others too? It may take time for children to forget the hurt they feel. Reinforce the forgiveness by helping them focus on the positive e.g. What can we do to make everyone feel better? Can you think of some nice things that X has done for you? We need to model forgiveness in our marriage. Children will perceive when there is resentment and hurt between you and your spouse. They need to hear the words of forgiveness and they need to see the actions of grace too. If we don’t teach our young children the steps to true forgiveness, it will be so much harder for them to forgive as they grow older. We need to give them the ability to release any anger and hurt that can affect them in childhood so that they have the tools of forgiveness and strong, loving hearts prepared for adulthood. All the photographs and text on this blog are under UK Copyright Law, which means that you are not allowed to reproduce any of it without my permission.